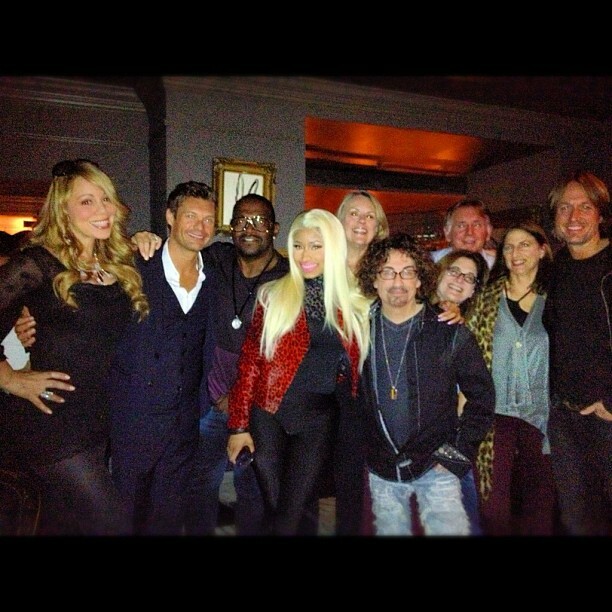 American Idol has announced the addition of Nicki Minaj and Keith Urban to the judging panel for Season 12. The two join Mariah Carey and longtime Idol judge Randy Jackson when the series returns in January. The four began their new Idol journey together Sunday in New York; other audition cities include Los Angeles, Chicago, Charlotte, San Antonio, Baton Rouge and Oklahoma City. Known for her unique performance style and iconic fashion, Minaj became the first female solo artist to have seven singles simultaneously on the Billboard Hot 100 chart. Urban, one of country music’s biggest stars of the decade, has four Grammy Awards and 14 No. 1 hits, and was named Male Vocal Artist of the Year three times, as well as Entertainer of the Year, by the Country Music Association.